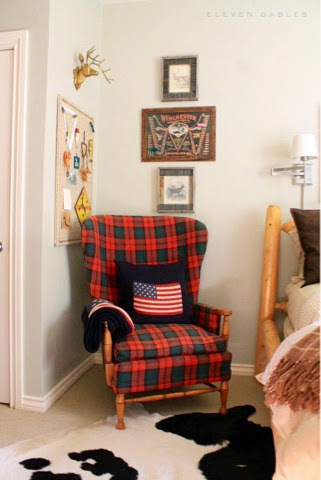 You all have been so generous with your kind words about my son's room! Thank you. 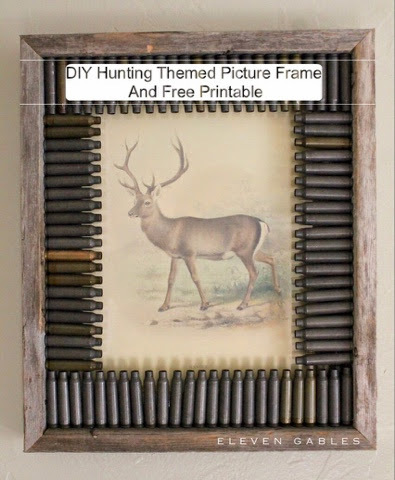 I can't wait to share this tutorial with you for making your very own Bullet Casings Rustic Frame. My son and I came up with this one day after spending some time at the shooting range. He came home with a handful of shells and I suggested we make them into something awesome for his room. Here is the link to this gorgeous free print! To print it, you must enter the website, click on the image to enlarge it, right click it to save it, then open your saved image and hit print. Sometimes, you will have to adjust your size to fit your frame. 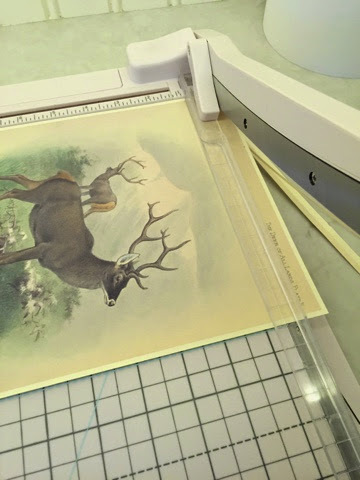 Trim your image to accommodate your frame. 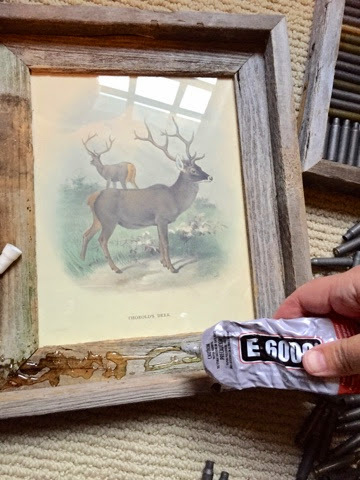 After thoroughly washing and drying your bullet casings, start adding epoxy to the frame. Epoxy is stinky and you must be working in a well ventilated room. Add casings all the way around. 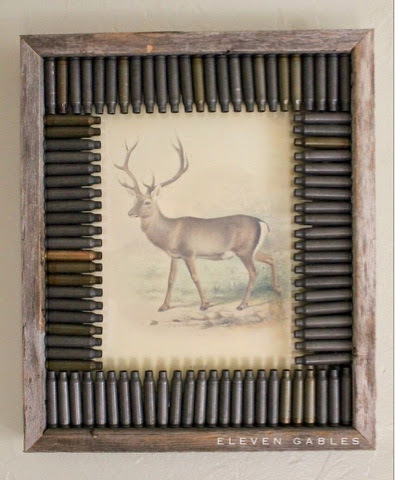 You will end up with an even amount of shells all the way around the frame. 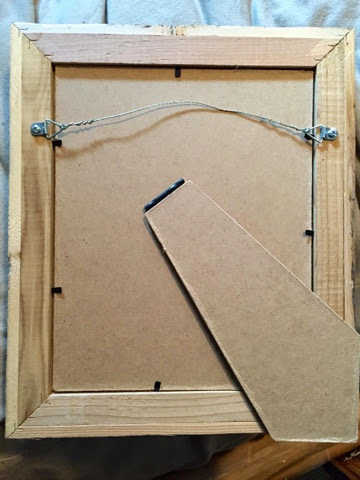 Allow the shells to dry fully in a flat, well-ventilated area. 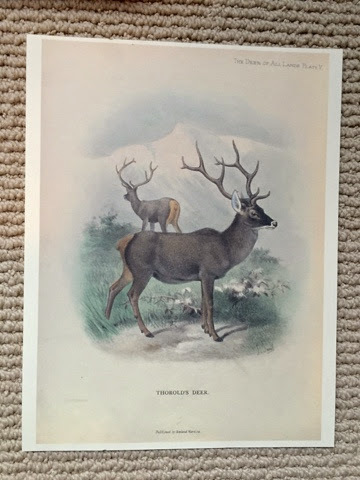 And HERE is another gorgeous deer print for free!! This was such a fun project to do together! I can't wait to see what variations you come up with! 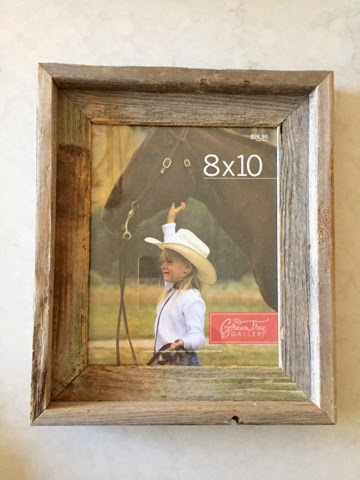 Overall, each framed picture cost less than $20.00! 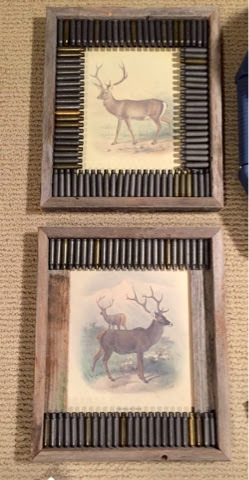 See that awesome bulletin board under the brass deer mount? That tutorial is coming next! 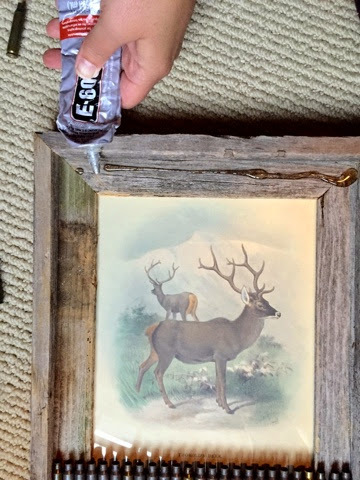 Have fun making this frame and stay tuned for more DIY from the Ralph Lauren Inspired Tween room! great idea and it is so perfect in there! What a great project. It looks fabulous in your sons room. I love your blog and I am so happy I found it. I look forward to your posts. I love your sons room!! Here from Primitive & Proper and LOVING your style girl! 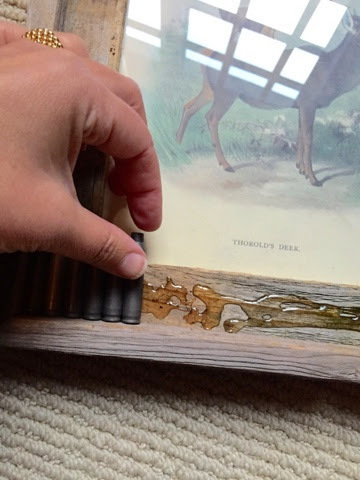 I love those Hobby Lobby frames. I could put one in every room. Love this!!! Trying to figure out if I can squeeze a quick trip to the range in before Christmas so I can make some as gifts :). Thanks for sharing! !